On March 10, the Wood Pellet Association of Canada announced that its board of directors unanimously approved the appointment of Michele Rebiere as the new president and director of the trade association. The Standard for the Design of High-Performance Green Buildings, or Standard 189.1, may include a definition of biomass, as well as requirements pertaining to the use of the source in the future. Drax has announced the acquisition of Billington Bioenergy Ltd., the U.K.'s second largest wood pellet distributor. The move signals the power generator's intention to enter the country's growing biomass heat sector. Financial and technical assistance to help homeowners and businesses switch to high-efficiency wood pellet heating is now available to Adirondack homeowners and businesses through the Adirondack Model Neighborhood Wood Heat Initiative. Viridis Energy Inc. recently announced that its wholly owned subsidiary, Viridis Merchants Inc., has secured a contract with an existing supplier for exclusive distribution of up to 18,000 metric tons of 100 percent Douglas fir pellets. The U.S. Energy Information Administration has released the March issue of its Short-Term Energy Outlook, forecasting that total renewables used for electricity and heat generation will grow by 2.9 percent this year. Leading players in the U.K.'s biomass industry have joined forces to develop a skills standard under the British government's Apprenticeship Trailblazers program. 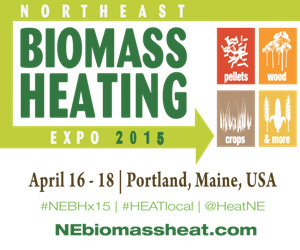 The Biomass Installation Engineer program is led by Neil Harrison of re:heat. A report recently filed with the USDA Foreign Agricultural Service Global Agricultural Information Network focuses on the U.K. wood pellet market. The report estimates the U.K. imported 4.6 million metric oven dried tons of wood pellets last year. The United Nations Development Programme has announced the second stage of a project in Moldova that aims to install dozens of biomass heating plants and hundreds of biomass boilers.